TBD Stopwords page manages dictionary of stopwords characters. The stopwords dictionary maps characters to other one. 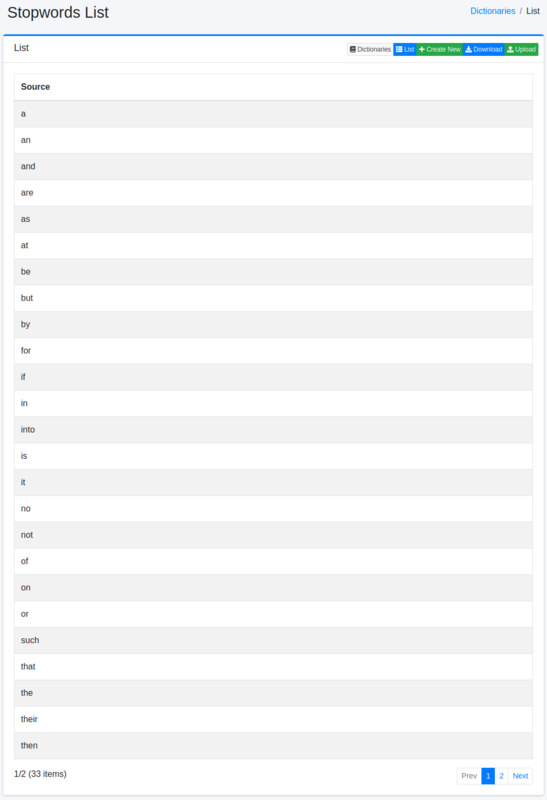 Select System > Dictionary in the left menu and click stopwords file to display a list page of Stopwords Configuration, as below. Click Create New button to display a form page for stopwords configuration.